Abstract. 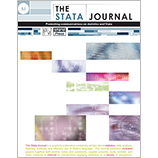 Mata is Stata’s matrix language. The Mata Matters column shows how Mata can be used interactively to solve problems and as a programming language to add new features to Stata. In this quarter’s column, we look at the programming implications of the floating-point, base-2 encoding that modern computers use.